Recently, my wife and I stopped by one of our local Best Buy stores and traded in our iPhone 4’s for the iPhone 5. 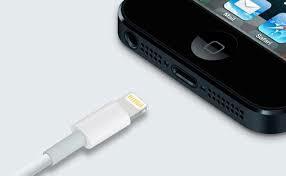 As many of you know, when you get a new phone or tablet, the battery is already partially charged. Well, the first couple of days after our upgrades, we were busy and every time we charged them completely, the charge would not even last the whole day! Then, I remembered a trick I learned some time ago: In order to get the best battery life from your phone, your tablet, or any electronic device, when you first get it, you need to spend or drain the battery charge completely and then recharge! So, I told my wife not to recharge her phone after she unplugged it in the morning and to use it as much as she could during the day. Later on that evening, when the phones were showing about 30% of battery life left, I started playing some YouTube videos along with some other apps that I knew would quickly use a lot of energy. I played YouTube videos and the other apps on both phones until their batteries were completely spent and the phones died from battery drain. Then, I recharged both phones completely. Every since I did that, the batteries in our phones are lasting all day and even to bedtime without needing to be recharged! In fact at bedtime, after a normal day of use, we still have over 50% of battery charge left! Well, I was thinking about that and I wonder could that be the reason why many people don’t get the best results in their lives? Could it be that they are constantly recharging without being fully spent first? Let me show you what I’m talking about: Most people are not willing to give anything their all. In other words, most people are always holding back in whatever they do. Whether it’s their job, their hobbies, or even recreation; they expend just enough energy to get by or just enough energy to attain a certain degree of success, but they never give it their all. As a result, they find themselves having to recharge often before the task is completed. But why don’t people give it all they have? It could be that they are afraid that even after they give it their all; they will still fail! And so, they’re in a catch-22 situation: They don’t give it their all because they fear failure, but in most cases the very reason for failure is the lack of total commitment! So most of the time they end up expending just enough energy to get by and sometimes they don’t put forth any real effort at all! Sometimes it is because of the potential of embarrassment. They don’t spend it all (put forth a 100% effort) because they are afraid of being embarrassed by failure. Therefore, they go through life, playing it safe; only engaging in endeavors that don’t require their best effort or a lot of energy. Because of this, most of the time, life to them is boring; they are the walking dead, living on auto-pilot. The Preacher says in the Bible (Ecclesiastes 9:10): “Whatever you find to do with your hands, do it with all your might, because there is neither work nor planning nor knowledge nor wisdom in the grave, the place where you will eventually go.” (NET) In other words; spend completely and don’t hold back! Leave it all out on the playing field because when the game of life is over, it’s over! Set high goals! If you reach for the moon and fail, you still might land upon a star! And even if you miss the star, you will still have the satisfaction of knowing that you gave it your best! You don’t want to get to the end of your life and have regrets, thinking about what you could have done or what you should have done. And remember, after you have given it your all and after you are completely spent; it’s not over! You have within you the potential to recharge and come back more energized than ever because any long distance runner will tell you: “After you have given your best and spent all, there is always a ‘second wind!” So remember, to get the maximum potential out of your life; spend completely and then recharge! Pride and Respect: More Valuable Than Life? Another Look At Acts… on Can I Get A Witness? 57,216 others have been my guests. Thank you for your visit!